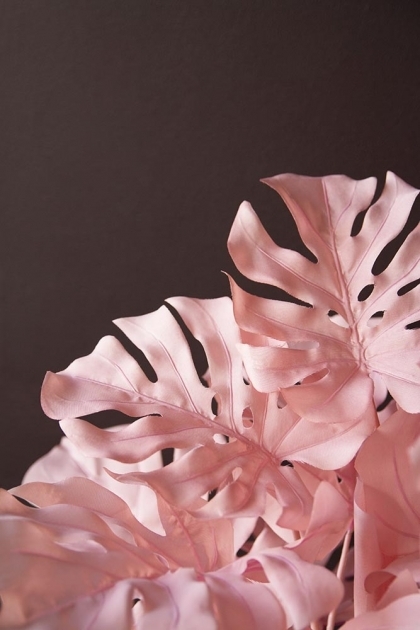 Proving there’s no such thing as too much pink, our Large Pink Faux Monstera plant creates a show-stopping statement! Taking the trend for faux plants and foliage to a whole new level, our Faux Pink Monstera is a playful alternative to the real deal, commanding attention with beautiful pastel pink leaves and a classic black plant pot. 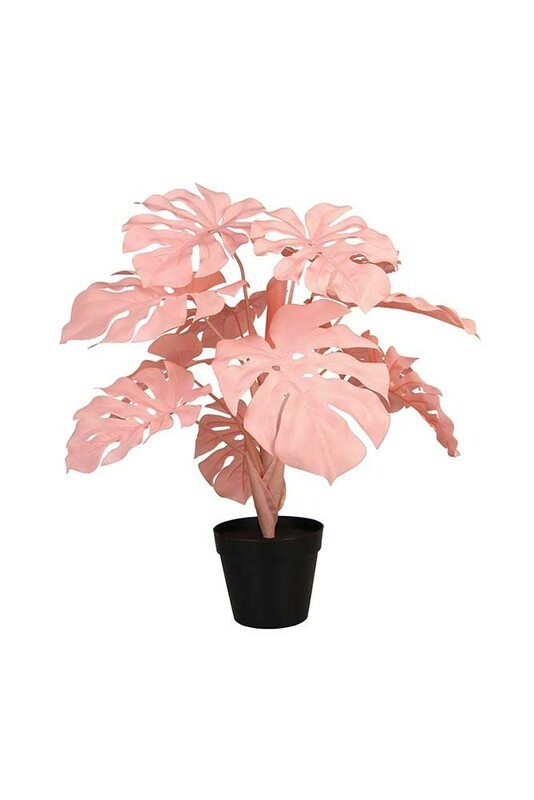 The Large Pink Faux Monstera measures 65cm in height and is an amazing addition for anyone who loves house plants and wants to add an extra splash of colour to the home. If, like us, you love having house plants scattered around your home but struggle to keep them alive then the Faux Monstera is the one for you! Breaking from tradition, our Faux Cheeseplant stands out against the sea of green and is designed to make a statement. Replacing the usually gorgeous greenery with bold pastel pink, the Faux Monstera Plant promises to take your interior on a trip to the Art Deco mecca that is Miami. One of the many benefits of opting for faux plants at home is the freedom to style your plant anywhere you wish! 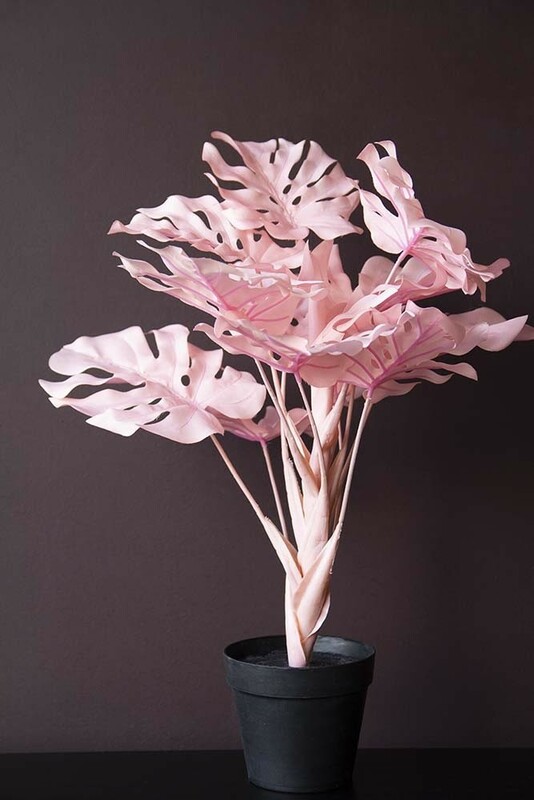 Quirky and absolutely unique, the Large Pink Faux Monstera House Plant creates a feature in even the most eccentric of schemes. Style it just as you would with any other house plant and watch your interior come alive with playful colour and daring design!